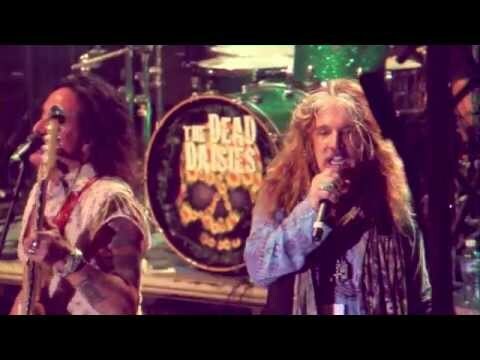 Influenced by 70’s and early 80’s rock, The Dead Daisies sound is soulful and accessible – equal parts of Aerosmith, Bad Company and Foreigner: muscular vocals, bluesy riffs, big choruses, powerful melodies and strong hooks. With stellar musicianship and pulverizing live shows, fans worldwide are discovering the band that is bringing back Rock ‘n’ Roll! The current incarnation of The Dead Daisies is taken from a musical collective created originally by a rotating line-up that has left their mark on the high-class brand of Rock ‘n’ Roll the band is known for. 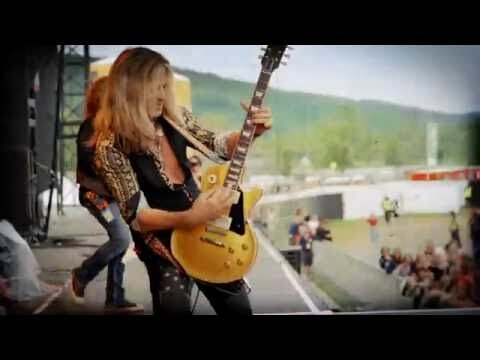 The band features in their ranks some of the finest Rockers on the planet, among them one of the premier lead guitarists of this day and age, Doug Aldrich (Whitesnake, Dio). He completes the legendary lineup consisting of charismatic singer John Corabi (Mötley Crüe, The Scream), bassist extraordinaire Marco Mendoza (Thin Lizzy, Whitesnake), monster drummer Deen Castronovo (Journey, Bad English, Hardline), and, bringing the thunder from down under, Australian rhythm guitarist David Lowy (Red Phoenix, Mink). Past names have included Richard Fortus (Guns N’ Roses/The Psychedelic Furs), Brian Tichy (Ozzy Osbourne, Foreigner), Dizzy Reed (Guns N’ Roses/Hookers and Blow), Darryl Jones (The Rolling Stones, Sting), Bernard Fowler (The Rolling Stones), Charley Drayton (The X-pensive Winos/The Cult), Jon Stevens (Noiseworks/INXS), Tommy Clufetos (Black Sabbath/Rob Zombie) and many more. Since exploding onto the scene in 2012, The Dead Daisies have taken the music world by storm, releasing three albums to date and touring with the biggest names in Rock including: ZZ Top, Aerosmith, Lynyrd Skynyrd, Bad Company, Judas Priest, KISS, Whitesnake, Def Leppard and the Hollywood Vampires. In an era where Rock music has been proclaimed dead time and time again, the Daisies defy the critics with ease. This is more than evident on their last studio album, 2016’s ‘Make Some Noise’ with twelve songs packed full of exciting Rock ‘n’ Roll hooks and riffs. It’s loud, energetic, and uplifting – and most importantly: it’s real. The songs were written produced with mega-producer Marti Frederiksen (Aerosmith, Def Leppard, Mötley Crüe), receiving huge praise from the music press, and smashing straight into 23 charts globally. The real Rock ‘n’ Roll magic happens on-stage, with the band and audience feeding off each other’s energy, which is where The Dead Daisies really excel. By capturing their show in all its loud and powerful glory, the band created ‘Live & Louder’ – their first ever live record, which has received nothing but the highest praise from music press and fans alike following its worldwide release on May 19th. There is a whole planet to conquer and the band currently finds themselves on a world tour of epic proportions seeing them play to an ever-increasing audience, including their frenzied fans from Latin America. The Dead Daisies always look to push boundaries, continually doing things they haven’t done before, and this tour is no different. The band has played some of the biggest festivals in Europe this year, including Download, Hellfest, Graspop, Sweden Rock and Rock Hard Festival. With Marti Frederiksen at the helm, the band is currently in Nashville finishing their 4th studio album. Coinciding with the highly anticipated album release in April 2018, yet another massive World Tour will commence.